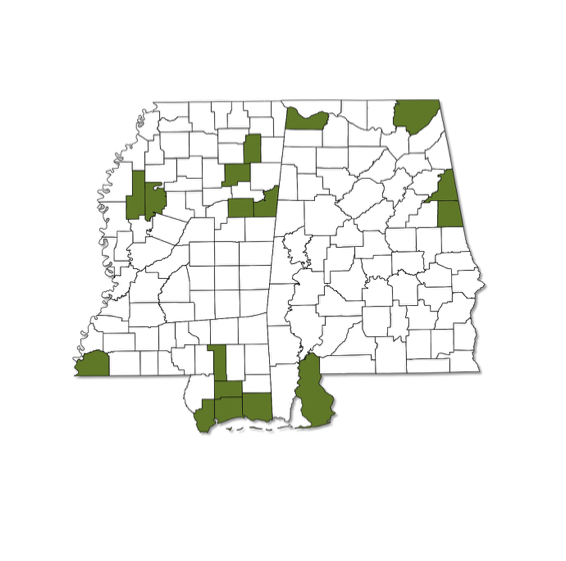 Distribution not well known for Alabama and Mississippi; current records suggest nearly state wide range. Both males and females are mostly uniform orange on the lower surface of both wings. Abdomen orange in color. 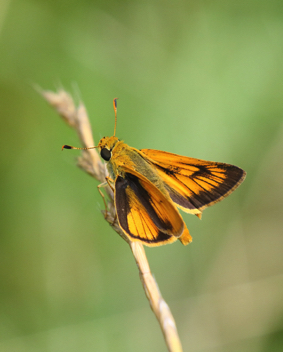 Fringes of wings vary in color from orange to brown. Upper surface of wings orange and brown with dark wing veins and additional scattered dark markings.